Sun Cellular auto-renewed my MB99 and MB250 on my postpaid account, to my surprise. I also couldn’t turn it off. Right now I’m still waiting for feedback from Sun Cellular’s support team. I was thinking of having my Sun Cellular postpaid terminated. Their service is not satisfactory – I email their Support team because that’s the most convenient way for me, but they barely give any help. Also, I think these auto-renewing mobile Internet packages are “sneaky” ways to get more money from customers. They’re not easy to turn off either. I was at Sun Shop (Greenbelt 1 branch) by 6:15pm and waited long for my turn. After about 20 minutes it was finally my turn. 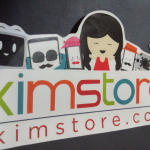 From what I understood, there’s no way for the support group – by email or at Sun shop, to check if a Postpaid subscriber’s account has any active auto-renewal for volume-based subscriptions such as MB99 and MB250. I was bugging the email support team of Sun Cellular, requesting them to please turn off my auto-renewal from their end but they could not do it. They just keep telling me to wait for feedback from another team, but it’s already 3 weeks since I first brought up my problem, and I still haven’t received any help from the email support team. The customer support representative at the Sun Shop I visited today told me that the only indicators of active auto-renewal plans are first, the system response when we try to turn them off (See section above, “Turn off auto-renewal of Sun Cellular mobile Internet subscriptions”) or if they are reflected on your next Statement of Account. I don’t understand why their system does not include a way to check anytime if auto-renewal of MB99 or MB250 is turned on or off, not even from support team’s end. 🙁 The representative I talked to today told me to just check my bill on November. My “MB250 OFF” sent to 247 seemed to have succeeded because I received a notification of success, so I should not see an MB250 charge on my next bill. Otherwise, I should file a complaint. Sun Cellular Plan Zero is the best Postpaid plan for my current usage. I could not fully utilize Plan 249 so I told the Sun Shop customer support rep that I want a different plan with lower monthly fee, and he suggested Plan Zero. Sun Cellular Plan Zero basically is a “pay-per-usage” kind of Postpaid plan. You don’t get unlimited texts or hours of calls – you pay for every text and call, and you pay 5 pesos per 15 minutes of Internet. But if you don’t use it for one month, you don’t pay anything – or should I say, you pay zero pesos? ^_^ So yeah, that would be the Sun Cellular Postpaid plan with lowest monthly fee of zero. Hehe. The activation of change of my Sun Cellular Postpaid account type was instant. The rep asked me to settle my balance first – I paid at the Sun Shop cashier. Then he asked me to sign a form, and after he processed it, I almost instantly received a text message saying my request has been processed. I was annoyed though. The rep told me I should see a particular reference number on the SMS but it only says “We are pleased to inform u that ur REQUEST for (SPECIFIC TRANSACTION) has been processed. Thank you.” It seems that their developers’ code is not replacing the substring “(SPECIFIC TRANSACTION)” with the proper value. >:( So I just assumed that this transaction is the Plan 249 to Plan 0 downgrade. By the way, my Sun Cellular Plan Zero has 600 pesos credit limit. I finished talking to Sun Shop rep around 8:00pm. The rep was courteous and easy to talk to. 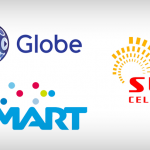 Sun Cellular service subscribers will be transferred to Smart Communications, Inc.
Greetings! We are pleased to inform u that effective Nov 1, 2016 subscribers of DMPI for its Sun Services will be transferred to Smart Communications, Inc.
With this pls address all payments for ur Sun Postpaid to Smart and ur Official Receipts will be sent together with ur next billing statement. Thank you. I mentioned this to the Sun Shop rep I talked to tonight, and he told me that we should check if there’s any change in our account number for Sun Postpaid. Since we are going to be merged with Smart subscribers, it’s possible that our account number may conflict with any Smart account number, which will need account number change. MB99 OFF to 247 seems to have worked for me! I instantly got an SMS notification from SUN Cellular. But we’ll see come next month if it was indeed effective. Yeah, I’m hoping our MB99 subscription no longer auto-renews next month. I really don’t need it anyway, and not willing to pay for it. thanks, this have been really helpful.